Have you ever thought to yourself, “Gee, how would an axe murderer outfit a fine German drop-top sportscar?” Thankfully, the Porsche 718 Boxster configurator is here for you to answer that question and any others you may have over and over again to your heart’s content. For hours. And hours. After all, time is just the thing we pass before we all die eventually. Nothing matters. Build a car! I like red cars, but I realize that you need to have tastefully contrasting parts that aren’t red. Yet I’m always fascinated by how far you can take something before you frighten even yourself. Porsche car configurators were built to satisfy your most depraved desires to build cars that make no sense at all without actually having to buy them. 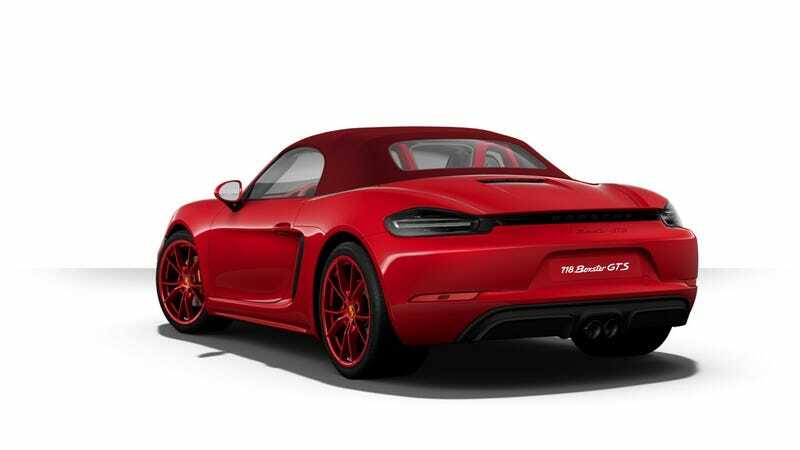 “I refuse to believe that Porsche will sell you the all red one,” said my coworker Raphael Orlove in Slack this morning of this creation. Honestly, that’s all the more reason why they should. Can you frighten yourself with your own car creation, even if it starts off with lovely 365-horsepower Porsche bones? The configurator is live here, so post your gruesome work below.